Poor old Holly is still duffering from dry skin. I'm trying to remember, but I think Lara's super-dry skin had passed by the time she was 4 and yet Holly, as she approaches her 4th birthday, seems to be suffering with awfully dry skin on her tummy and chest, as well as red blotchy dry hands. At this age it can be hard to keep on top of dry skin because Holly is so independent that she has to be in charge of deciding when to apply cream, and what cream she will put up with. 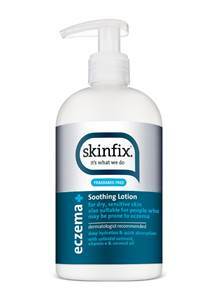 Recently we have been trying a new brand called Skinfix which is available exclusively in Boots and which is specifically designed as remedy and prevention of dry skin and eczema for the whole family. Skinfix products are around 98% natural and yet incredibly powerful. Take the fragrance-free Eczema balm for instance, it is thick and steroid-free and provides Holly instant relief on the backs of her hands just before she goes to bed (which is when it seems to be most sore). Holly doesn't like any creams that leave a residue so she was a little hesitant about applying a barrier balm but it does obviously soothe her skin so she is sticking with it. Also in the evenings and mornings we are using Skinfix Soothing Lotion which is a very light fluid which is instantly absorbed and doesn't leave a residue on the skin. 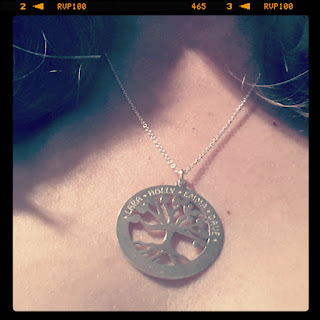 On the first day that we used the Skinfix lotion, when Holly woke up the next morning, her skin was totally different - not dry and bumpy at all but smooth and soft. Nearly unrecognisable! Over the past fortnight we have found that we only have to use this lotion every other day to keep on top of the dry skin on her body. Awesome. The only problem we have is that because it is fragrance-free, the appeal to Holly isn't that strong so she doesn't actively seek the lotion out herself, we have to remind her. Skinfix also make this pump-bottle soothing wash. Due to Holly's particularly dry skin at present, we've really reduced the number of bath-times (we are convinced that our hard water is the cause of Holly's skin problems) but we do encourage Holly to wash with gentle bathtime products during the week. 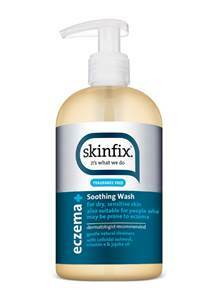 The Skinfix soothing wash is specially designed for people who suffer from dry and sensitive skin so that it doesn't strip the skin of the oils it needs to stay moist and supple. The wash is fragrance-free and is made using jojoba oil, aloe vera, apricot kernel and coconut cleansers - all natural ways to stay clean and well moisturised. Again, the scent of a washing gel is something that really encourages Holly to wash well so she hasn't been that wowed by Skinfix and I'm sure that she probably doesn't even notice the difference that a kind body wash makes to her skin over the brightly coloured, strong-scented kids products she sometimes borrows from her sister...but I do! 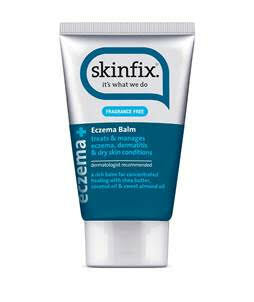 Skinfix soothing products can now be found in Boots behind the pharmacy counter. This long weekend just gone was a bit of a luxury - we had nothing that we HAD to do. We only get a weekend like this once or twice a year and I can't begin to tell you how much fun it is to do almost exactly nothing as a family together. We filled our days with gardening, crafts, castles and princesses and a bit of sneaky TV together. The girls spent much of their weekend creating things. We lifted out the Mega Bloks and both Lara and Holly enjoyed constructing princess towers and magical castles. As they had so much fun building, we thought we would watch something princessy on Netflix. 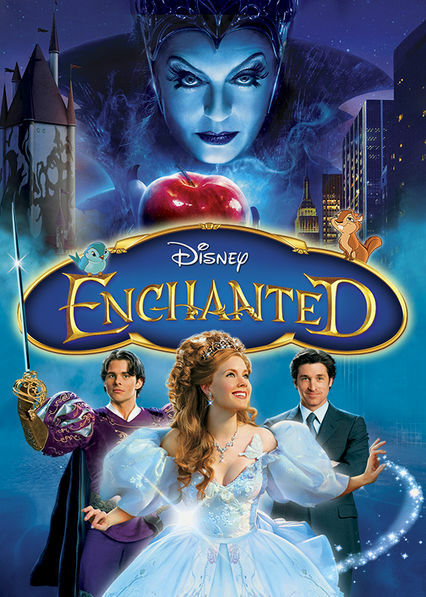 I convinced the girls to watch Enhanted - a Disney movie that is not quite animation, and not quite drama but something in between. The movie was a total hit. 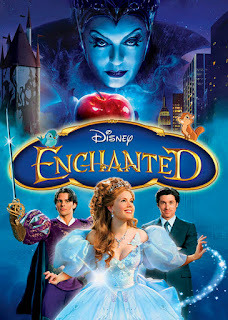 From sparkly dresses to wicked stepmothers and a true love's kiss, Enchanted had everything that that my girls look for in a movie but it was a little bit more grown up than their usual animated fare. As we were in the mood for construction kits I lifted out Lara's lego kits. Lara has built up quite a collection of different Lego friends sets and Holly is just beginning to show an interest in joining in with her big sister when she creates new Lego friends scenes. As the weekend came to a close and the girls curled up on the sofa after their bath, we discovered a couple of new Lego Friends : The Power of Friendship Netflix original episodes. Holly and Lara both watched in awe as the friends prevented trouble on their summer camp! On the same construction theme, I've hunted out a few more kids favourites on Netflix. You can find Lego City, Lego Chima, Ninjago and Bionicle all on Netflix. Or, if you're into fairy tales, princesses and castles like my two girls then why not try the original Cinderella, or the fairytale cheese of Ella Enchanted. Disclosure: This post was written using inspiration from Netflix as part of their Stream Team. It is 5 weeks now since I have run anywhere. I injured myself during a half marathon back in February and recovery is long and slow and I'm not feeling very mellow about it. I had been training for my first marathon (now not going to happen) and had been building up the miles. Being on the injury bench isn't much fun but it has given me a chance to reflect on what running does for my fitness and to think a little harder about the everyday stretches and TLC that my legs and feet need when I'm running. 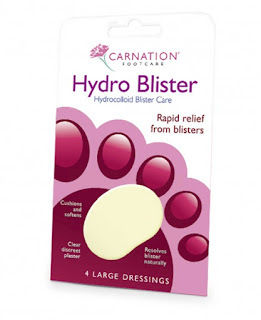 First up I tried the Carnation Hydro Blister - this was back in the week immediately following my half marathon and my toes and the inside of my arches were covered in blisters (new shoes didn't agree with me). The Hydro Blister is a little plaster that you place over the blister to protect it as it heals so that it doesn't rub further. I found the plasters to be a welcome relief in the days after the race and I'll be tempted to have some around for after every race. 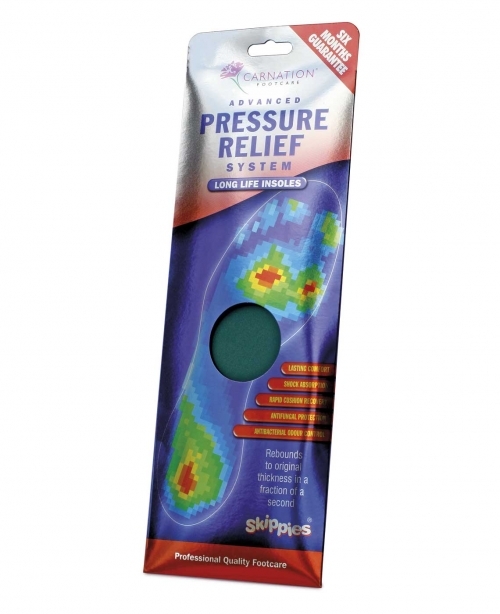 As I haven't been running these past few weeks, and as I've been given prescribed orthotics for my running shoes, I offered my Carnation Pressure Relief insoles to Mr. B. who regularly suffers from sore heels when he runs. 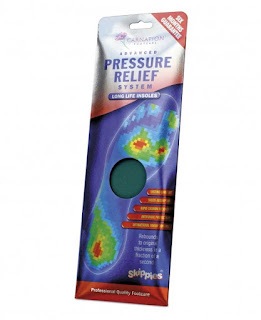 These insoles are designed to help relief the pressure not just on your feet but through the whole body as you run or walk; Mr. B. felt a difference when he wore them - their cushioning effect which bounces back takes a bit of getting used to but every runner knows that a bit of cushioning is very welcome, especially on a long run! I think Mr. B. should also check out Carnation's long life heel pads too in order to try and tackle his running niggles. Perhaps most impressive from the Carnation Footcare range is this simple-looking gadget which I've decided should become part of my post-run routine from now on. The nifty Carnation PediRoller is a plastic roller that allows you to exercise your foot in a way that can help prevent a number of common runners injuries, and which can speed up recovery too. I've been using it to help me exercise my feet when I've been otherwise unable to stretch (I was more or less sofa-bound for a while!). By rolling your feet over the the roller and causing a curve in your foot, you can help stretch the calves and achilles which helps you fend off shin splints and plantar faciitis which, if you get it, can be incredibly painful. I have too sorely learned the lesson that upping your running mileage can cause you injury so from now on I'm going to be a little more careful about trying to ensure I stretch and exercise to combat injury and pain. U Hugs dolls have been a massive hit in our house with both Lara and Holly. We were sent two to review but I will admit that when browsing Toys R Us for birthday present ideas last weekend, I was tempted to add to the girls collection. U Hugs dolls from Flair are brightly coloured, stylised dolls which feature lots of little removable pins for clothes, accessories and styling so that you can mix and match them, chop and change them and change them until your heart's content. And my, oh my, Lara changes her U Hugs around a lot. U Hugs are designed for children from about 6-10 years old and I think Lara (nearly 7) is just about the perfect age to appreciate them. She likes the bold style and less girly colours but is still drawn in by the need to dress, tweak and create her own styles for these dolls. 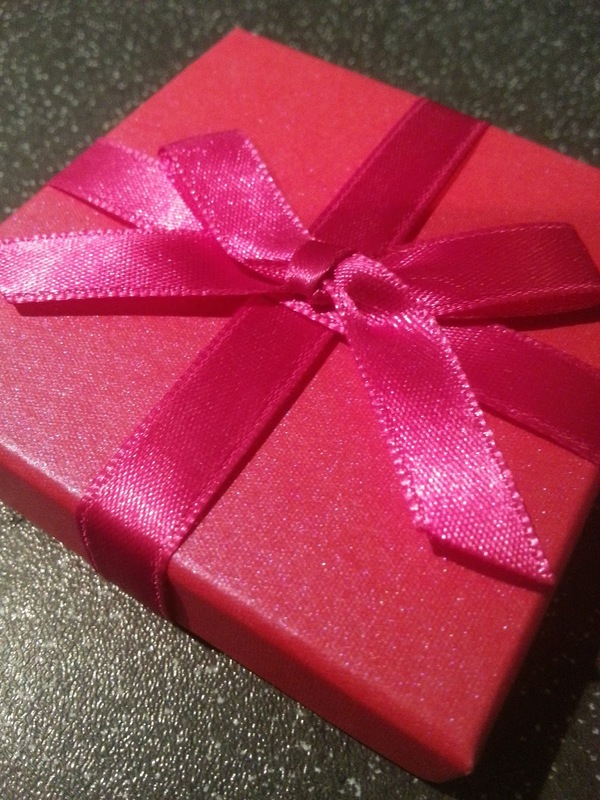 The U Hugs dolls come in their own presentation pack with about 12 different pins such as jewellery, hair accessories, clothes, eyes, lips etc. Their arms, shoes and even their body are also pins. Each pin (more of a plug) is easy to rotate out of place and push back in again. It took Lara a little while to get the hang of it and she needed help at first but now she knows how to twist them in and out herself and only asked for help with the cloak/shawl type things which do require quite a bit of dexterity to line everything up into place. I think U Hugs probably do work best when you have a couple that you can mix and match. Each box gives an idea of shapes and pieces you can change to totally change the doll's character - they even recommend new names. Lara and Holly both like the idea that you can move hair and eyes from one coloured doll to another. Given the care and attention that Lara takes choosing the next combination of clothes and accessories, I think I may have a little fashionista on my hands. I recommend keeping the box of your U-Hugs doll to keep all the pins in, some of them are hard to find once they've been put to one side. If you are looking for a very sneaky place to store them - some of the dolls have a little cavity inside and even a patch on the body can be popped out and swapped for another one to cover over the little secrets stored inside. I think U Hugs are a very clever set of dolls that appeal to girls who think they are "too old" for traditional dollies! Find out more about the U Hugs characters on their Youtube channel. Today sees the release, on DVD, of Peter and Wendy. 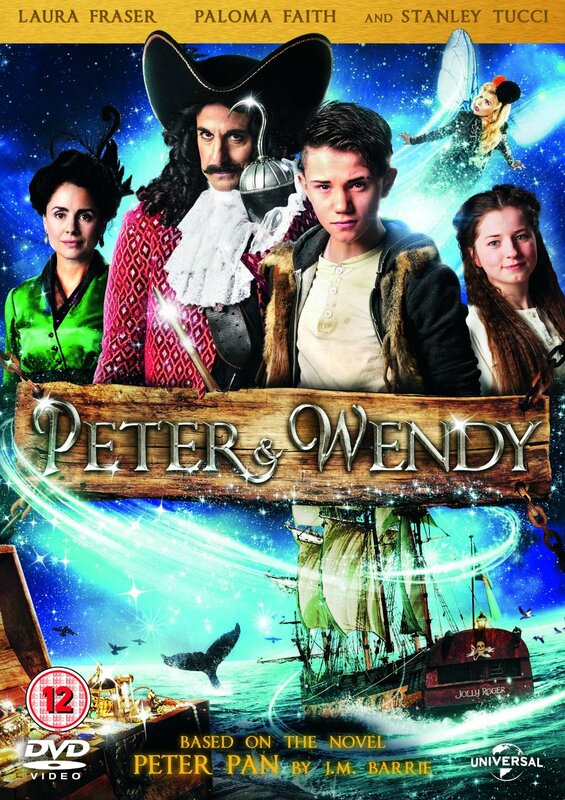 This is a new re-telling of the classic tale of Peter Pan which premiered on ITV over Christmas. I watched the movie with Lara this weekend and you know what, I really really enjoyed it. As someone who previously studied movies (but who also enjoys watching them for fun), I found Peter and Wendy to be moving, inspiring and incredibly cleverly constructed. Peter and Wendy is based, very closely on the story of Peter Pan by J.M. Barrie. 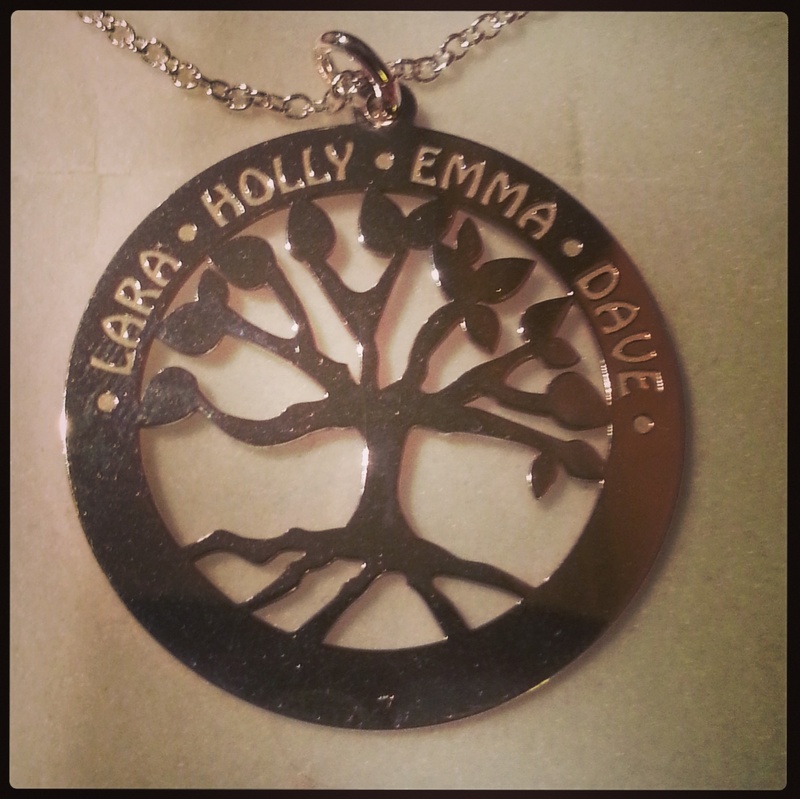 The twist in the tale is that the story is retold through the eyes of Lucy Rose, a young teen who is undergoing heart surgery at Great Ormond Street hospital. As Lucy reads her copy of Peter Pan to the other children on the ward, she is transported into the world of Neverland. In Neverland Lucy appears as Wendy and in fact, almost all of the characters in the story are people that Lucy meets in real life - from her Doctor (Hook) to her mother (Mrs. Darling) and all of the children on the ward. As the story progresses and Lucy approaches her surgery, the story flicks ever more frequently between real-life and Neverland. It is never quite clear whether Neverland is a hallucination or a dream but the two worlds start to blur as Wendy's life increasingly approaches danger. I found the whole experience immersing - to see Peter Pan and Hook battling over a pile of hospital beds was quite fascinating! Much of the movie is filmed in the dark and, to be honest, it is quite a dark film so Lara found it intimidating and a bit too full of peril; she stopped watching at about half way because she found the near-drowning scenes too scary. And it is just as well because I think Lara may have found the end of the movie very emotional as one of the children on the ward does die. However, I felt the movie was packed with emotion and tenderness throughout. I thought it dealt really well with the anxiousness of Lucy's Mum and the early teen romantic tension of Wendy and Peter. Holly was most taken with Tinkerbell the fairy who is played by Paloma Faith - a fascinating casting that works incredibly well. Captain Hook (the Doctor) was also brilliant...it took me most of the movie to realise that I recognised Stanley Tucci from the Hunger Games. I think the 12 certificate on Peter and Wendy is probably best given the fighting, fear and emotion of the movie. I loved it though and I thought it did very well to stay close to the original plot of the story. Very clever. This weekend Lara made her own chocolate bar with an Easter theme using a fun chocolate picture maker kit from Zimpli Kids. While Lara's first ever attempt at drawing chocolate art using molten chocolate may not be as precise and well-refined as the examples on the Zimpli Kids website (and the amazing Elsa picture below), I was quite genuinely impressed by Lara's handiwork and we all enjoyed eating it! The Zimpli Kids chocolate picture maker kit includes a rectangular plastic mould in which to create your chocolate bar, a set of sample templates to trace over and some packs of white, dark and milk chocolate from which to create your masterpiece. You melt the chocolate in warm tap water and then make a small snip in the sachet from which you squeeze the chocolate. The chocolate is gluten-free and veggie-friendly. The chocolate sachets contain real belgian chocolate and the end result is properly yummy (unlike some kids chocolate gifts we've tried before!). I mean, properly yummy. The small chocolate maker kit comes with a small bag of dark chocolate for drawing outlines, a small bag of white chocolate for filling in your picture and a larger bag of milk chocolate for the background. We found that there wasn't quite enough milk chocolate to be able to adequately fill in the picture so that it made a nice thick bar - Lara had to be quite sparing with the chocolate and spread it thinly if she were to get the full picture filled in. 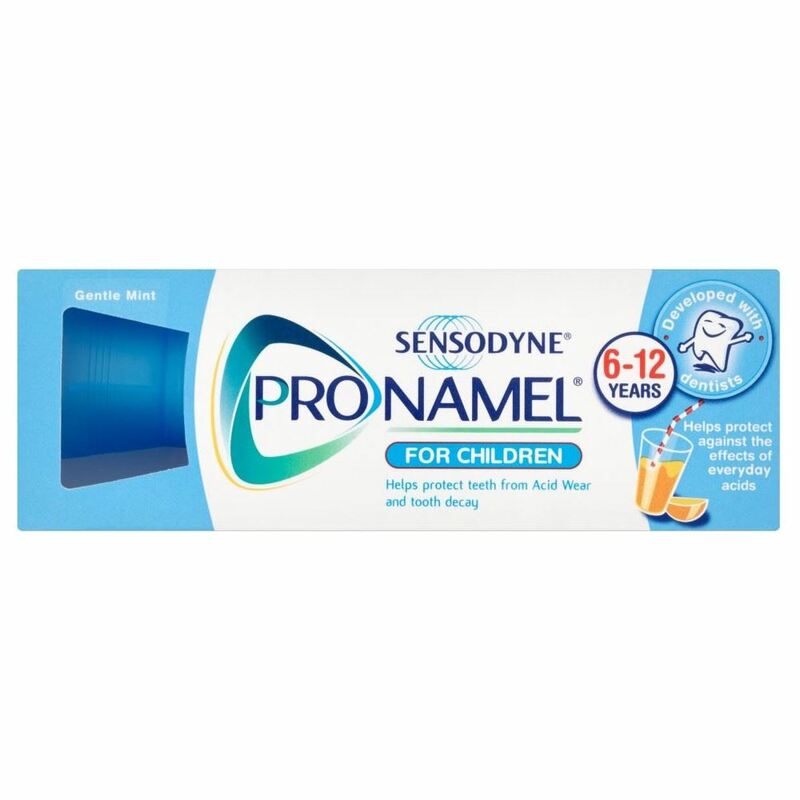 The kit is suitable for children from about 4 years upwards. Really, the only limiting factor is the ability to draw.. with chocolate. This is easier said than done. It took Lara quite a while to gain confidence with the chocolate and I think we also cut too big a hole in the sachet for her to draw accurately. We will learn though! We also learned to be patient; Lara wanted to eat her creation as soon as possible but it wouldn't come out of the mould. We had to wait out the full 30 minutes of cooling time and then it easily pushed out of the mould. Within seconds of taking the photos, the chocolate had been devoured. Lara chose a simple Easter egg design for her first attempt at chocolate pictures but some of the stencils provided are far more intricate and will take a fair bit of practice. There is no limit to the creativity you can attempt - all you need is a suitably sized picture that you can trace over. This gives you the opportunity to make any design you like (remembering that any text you write needs to be created in mirror image as you draw with the chocolate). I think that a personalised chocolate picture would make a BRILLIANT Easter gift for friends and family and this is a fun activity that everyone can get involved in. I certainly can't wait to give it a try myself. It would be nice to know where I could buy replacement sachets of the chocolate that are just as easy to melt and squeeze. This month the Netflix Stream Team were all challenged to let their children take over their blog so that we could take a day off from blogging. Lara and Holly chose to take over my video camera and they interviewed each other on the topics of "Netflix" and "What makes Mummy so wonderful". As you can see below, I think Holly has a career on Newsnight ahead of her. She is also a charmer. Holly has a bit of pressure on her when it comes to this year's Easter Bonnet parade at nursery. For the last 4 years in a row, either Lara or Holly has won the annual Easter Bonnet competition and Holly would really like to win it again - this weekend she spent nearly a whole day creating things for her masterpiece this year. I won't share our secret formula for winning the Easter Bonnet competition but I will say this - Holly is incredibly independent when it comes to homemade crafts. When she sees her older sister cutting, glueing, sewing, shaping, painting and sticking she wants to do all of the things that her older sibling does. Often I think she'll struggle with the concentration or dexterity required but she always surprises me. Holly's Easter Bonnet this year is entirely of her own making. She knew exactly what she wanted to do and told me what she needed. When she has struggled, she has asked for help but in many cases she has just needed some tips on how to approach a problem - such as how to hold her ha taught while she sticks things on it. I'm very proud of her, whether or not she is a winner! Holly's hat has been created using craft kits and Easter themed craft materials from Yellow Moon - our one-stop shop for children's craft activities. I think this is one of my very favourite times of year for crafting with the girls because there are so many fun ideas of things you can make. Lara and Holly have decorated our dining room with a string of foam rabbits, each of whom is dressed in a different outfit. One of these handsome rabbits has made it into Holly's Easter millinery! My girls love working together in the front room - Lara helps with the more fiddly tasks such as peeling the backing off foam shapes. Holly barks instructions, for instance to tell Lara what colour paint to use. Yellow Moon's range of Easter craft activities this year range from spring animals (we loved painting wooden chicks and lambs but it did get VERY messy) to everything you need to lay on your own Easter egg hunt. Lara and Holly have still got some special colour-your-own Easter egg presentation boxes to create, and some bunny rabbit mosaics. But the girls most fell in love with these beautiful paper baskets which they very creatively filled with other Easter-themed materials. These little spring baskets come in a set of 8. The base folds and slides together (we used tape to make it sturdy enough to hold chocolate eggs!) and the handle is held in place using metal clips. Lara and Holly chose to fill their baskets with coloured shredded tissue paper (a Yellow Moon staple) and topped with tiny glittery decorative eggs which come in a pack of 100. The baskets look so cute that we have placed them in the window for everyone to see, alongside our daffodils and spring flowers. We can't wait until Easter and I'm sure there will be lots more crafting to come! 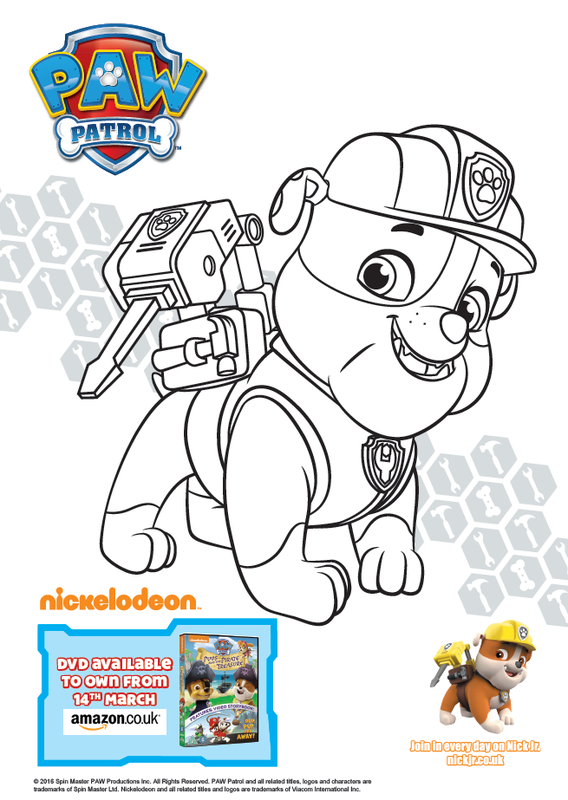 The Paw Patrol phenomenon took me by surprise at Christmas and now, as Easter approaches, I've found myself with two massive Paw Patrol fans who absolutely love the show. A new set of 6 episodes of Paw Patrol adventures is coming to DVD tomorrow - Paw Patrol Pups and the Pirate Treasure. 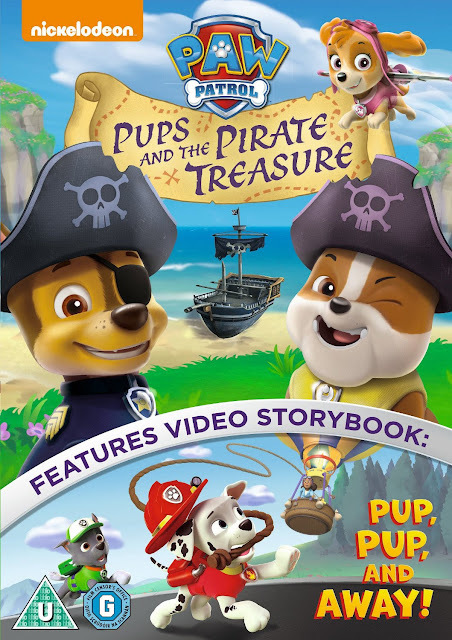 Paw Patrol: Pups and the Pirate Treasure is releasing on DVD from 14th March 2016. The new DVD has a nautical theme with 6 episodes featuring pirates, pools and seaside adventures. Join Ryder and his Paw Patrol pals this Easter on their mystery-solving adventures in their search for pirate treasure, when they discover a secret map! The pups discover a secret pirate cave as part of a treasure hunt - both Lara and Holly loved this episode so much that they wanted to go on a treasure hunt of their own. Every episode features puzzles to solve and challenges that the pups have to overcome. The DVD is out on Monday 14th March and would make a fabulous Easter gift as an alternative to sweet treats! 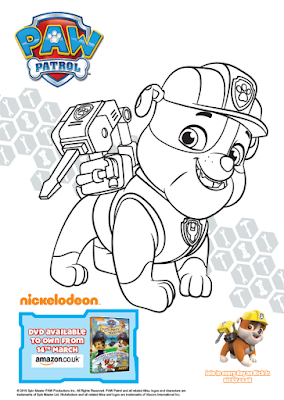 If you, like me, have Paw Patrol fans then why not download and print this Paw Patrol printable colouring activity sheets set which I have uploaded for you here.